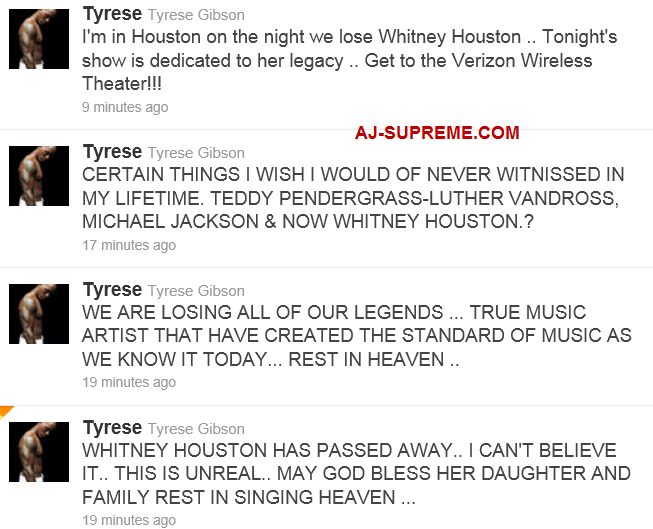 As the world continue’s to hear the news on the death of the legendary Whitney Houston, celebrities all around the world react. As far as the eye can see one thing is for sure, Whitney will be missed. 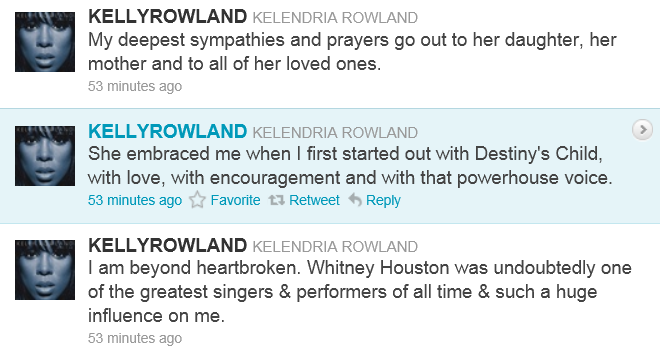 Read as some of your favorite celebs re-act to Whitney’s passing. 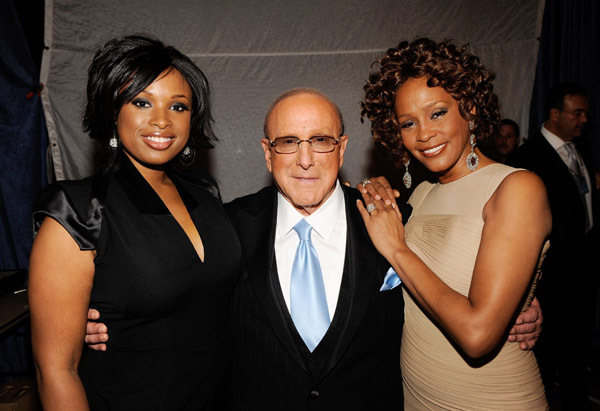 This entry was posted in BREAKING NEWS, FOLKS SAY, QUOTE OF THE DAY and tagged AUBREY O'DAY, CIARA, CLIVE DAVIS, DRAKE, KANDI BURRUSS, KERI HILSON, LA REID, LIL MO, MARIAH CAREY, NENE LEAKES, NEYO, PARIS HILTON, TONI BRAXTON, TYRESE, WENDY WILLIAMS, WHITNEY HOUSTON. Bookmark the permalink. 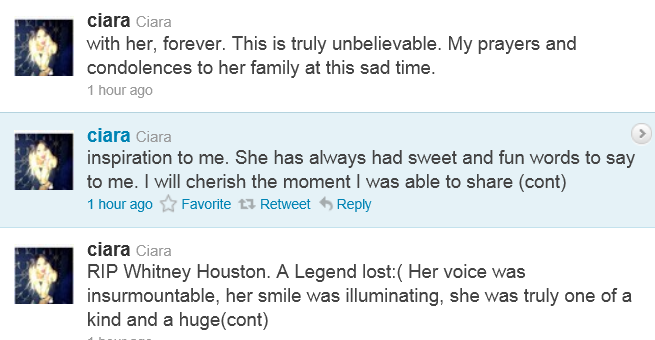 i am so, so SAD…..I am devastated! 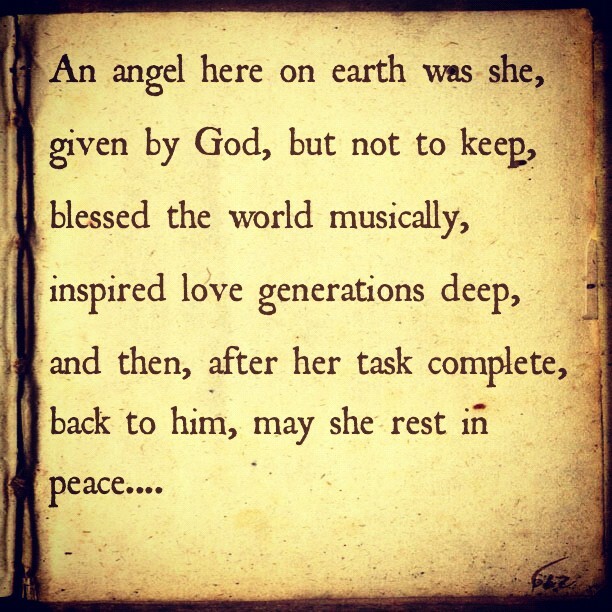 I loved her…..my soul cries out for you WHITNEY…..God loves you, and I pray that you are with him now….Bobbie Kristina, and Bobby Brown, may God strengthen you right now…..Lord help her Mother right now, in the Name of Jesus! !